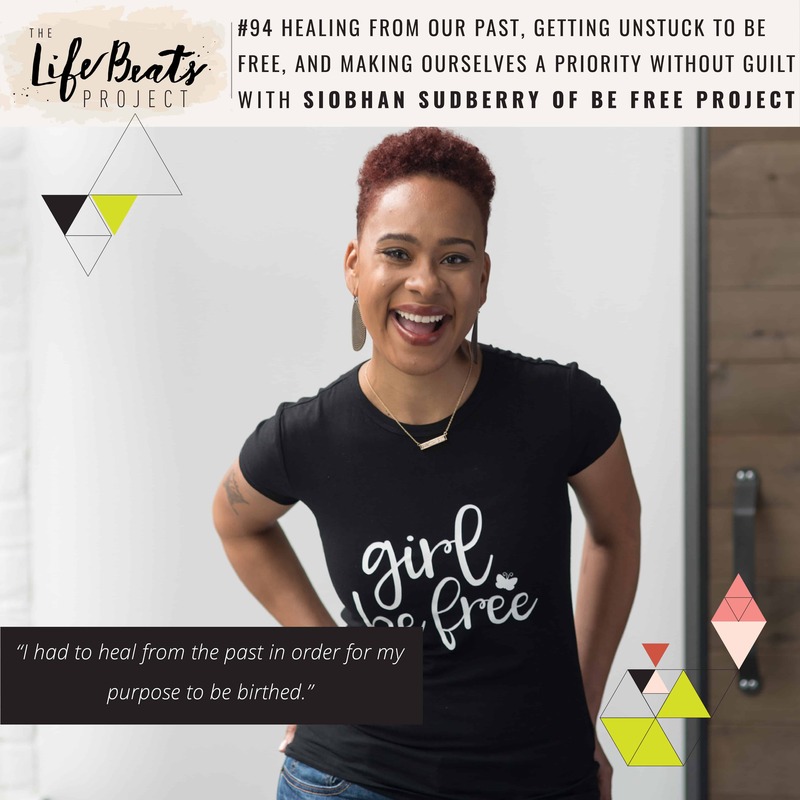 Today’s episode I am speaking with clarity cultivator Siobhan Sudberry of the Be Free Project and the Girl Be Free podcast, designed to help women get unstuck and get clear about what you want, to cultivate the life you desire. Siobhan shares her own story of why she felt stuck in her life and the process she took to become free. She opens up about being physically abandoned by her mother as a teenager and the effects that had on her, including the messaging she received from others on how to deal with it by simply bottling it up inside and moving on. Siobhan shares the moment in her adult life when she realized that although she had her marriage, children, job, home, all the things society tells you you need, that she was still stuck because she had not healed from her childhood. She talks about the power of therapy and the path of healing that it sparked. She shares specific things that she did moving forward that allowed her to get unstuck and create the life she truly felt God called her to live as a mother and a champion for women. Siobhan expounds on 3 ways that we can put ourself as a priority in our life without feeling guilty, including saying no, setting boundaries and having hard conversations, as well as creating a happy list. Listen and be inspired to examine your own life to see where you are stuck and what things you can do to become free and live the life you were meant to live. Learn ways to take time for yourself without holding guilt. *Some of the above links contain affiliate links that give me a thank you if you decide they are right for you. Thank you friends for your support. Thank you so much for allowing me to share my journey with your audience! I really enjoyed our conversation. Siobhan it was such an honor to have you on the show!!! I have learned so much from you and look forward to working together in the future! !